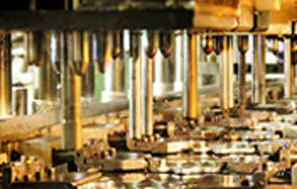 GameChange Solar Automated Massive Scale Production Increases Tracker Manufacturing Capacity to Over 4 GW . NEW YORK, NEW YORK – February 8, 2018 - GameChange Solar today announced that the company has increased Genius Tracker™ single axis tracker manufacturing capacity to over 4 GW annually with the addition of multiple high speed stamping and roll forming lines in North Carolina, New York, Michigan and New Jersey. These lines are capable of precision automated production of quality parts in large volumes that allow per part processing costs to be minimal. They also are efficiently designed to minimize scrap loss and further reduce cost of production, which in the face of rapidly increasing steel prices is a critical consideration. Strict quality control and manufacturing process techniques typically utilized in the automotive industry are being applied by GameChange for superior quality and high capacity production. “We decided to make this significant investment in massive scale manufacturing as our customers have given us consistent, repeatable large utility scale orders for the GameChange Genius Tracker™. This is a culmination of a long term effort to optimize component design married to superior manufacturing methods to yield high quality and low cost production. Tooling up several automated stamping lines as well as additional roll forming lines has substantially increased our production capacity. Based on the volume of orders we are receiving, this capacity will very comfortably allow us to handle our 2018 and 2019 business at a 2 to 3 GW annual run rate. We expect to add additional capacity later in 2019 to support higher production requirements in 2020 and beyond.